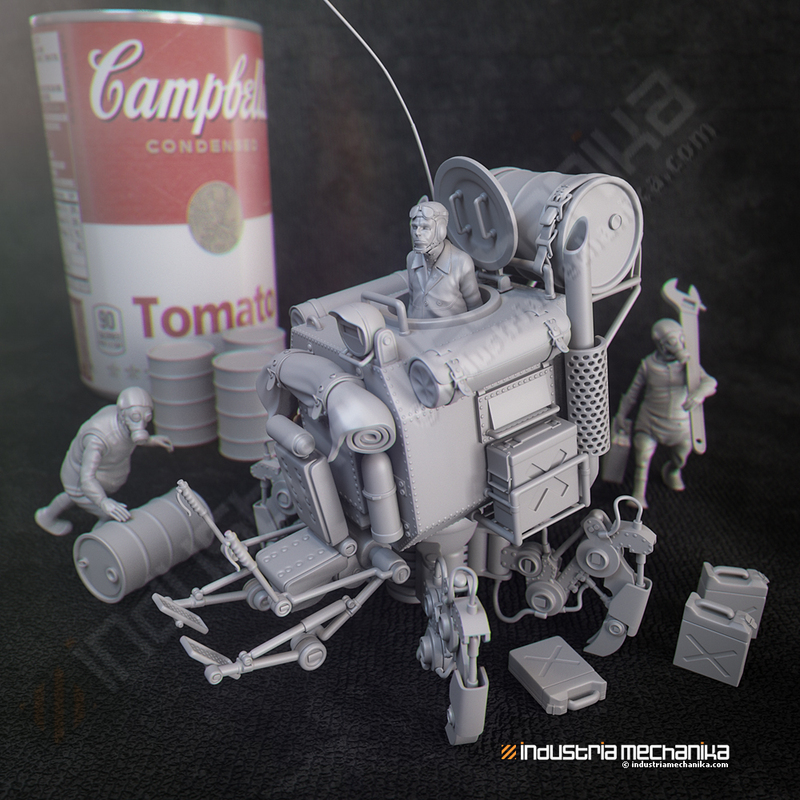 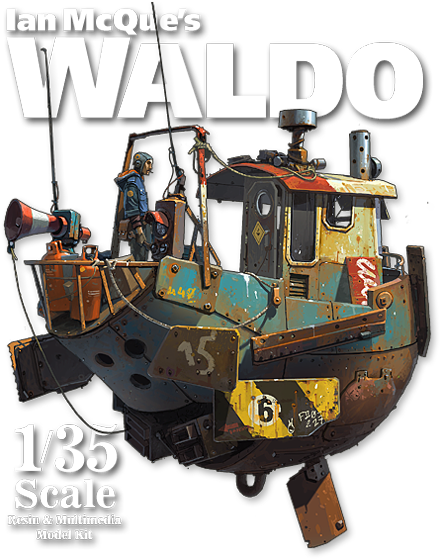 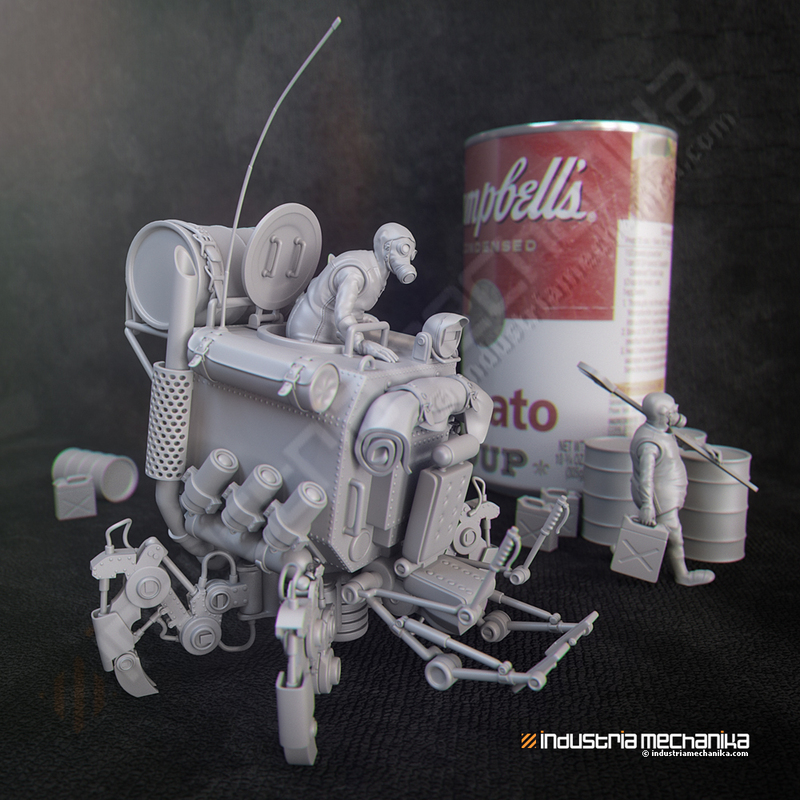 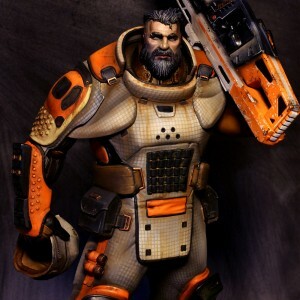 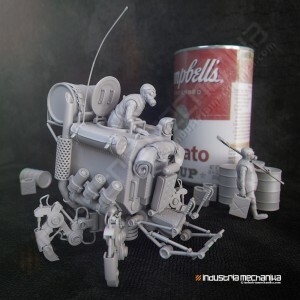 Ian McQue’s Waldo, sculpted by Michael Fichtenmayer (aka FichtenFoo) is now available for preorders! 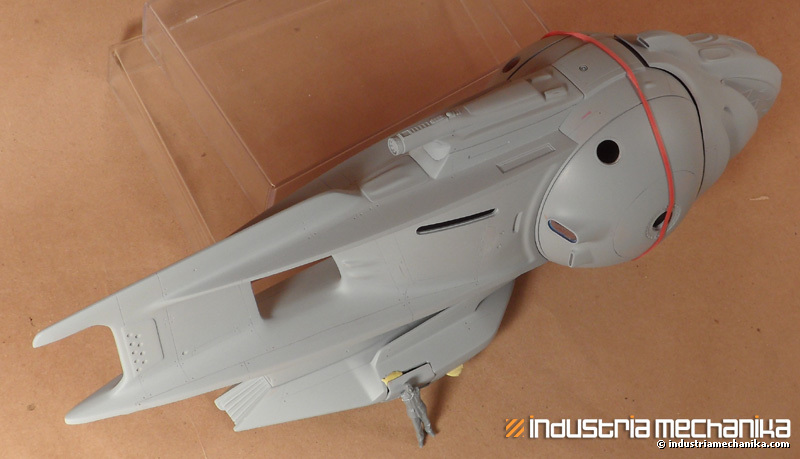 This kit sports a fantastic laser-cut wood deck and plastic windows, full photoetch wheelhouse (2 large sheets of etch for this and other details), waterslide decals, pilot figure, and hollow hull with full engine visible from the deck grating and from the bottom of the hull’s thruster opening. 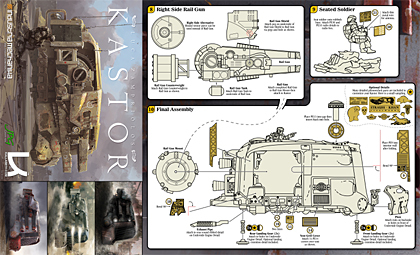 Pics, art, instructions, etc on the shop page here. 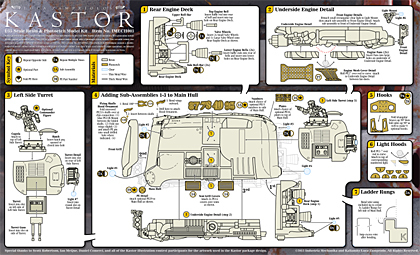 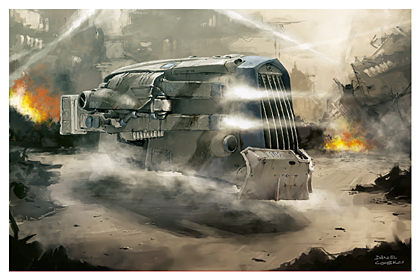 Ian McQue’s Remora 4th Ed! 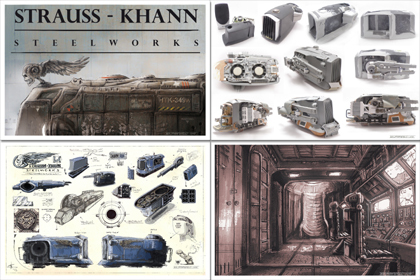 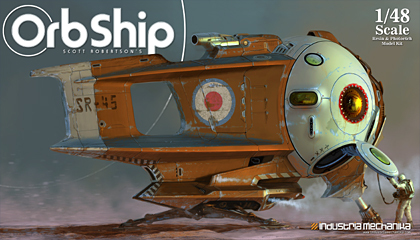 Ian McQue’s Remora’s 4th edition is also available for PREORDERS. Start your fleet now! 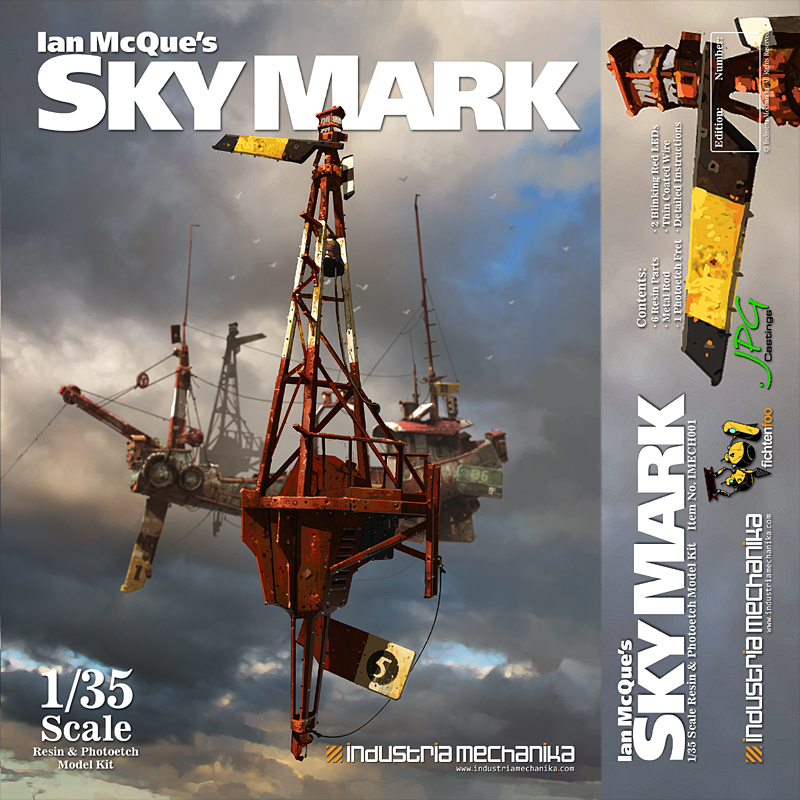 Ian McQue’s Sky Mark buoys are also available. 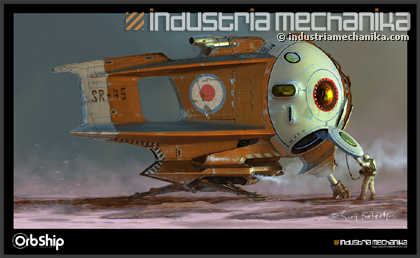 These buoys will look great guiding your other Ian McQue airships into port. 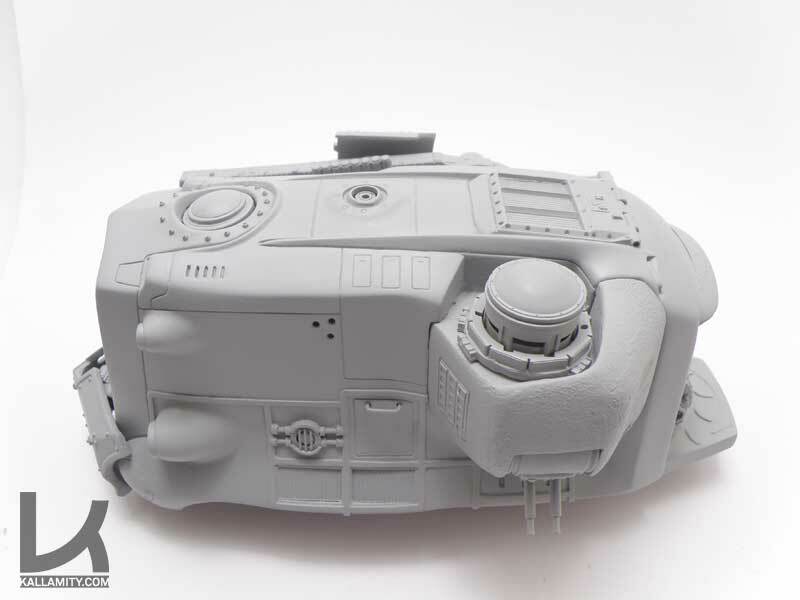 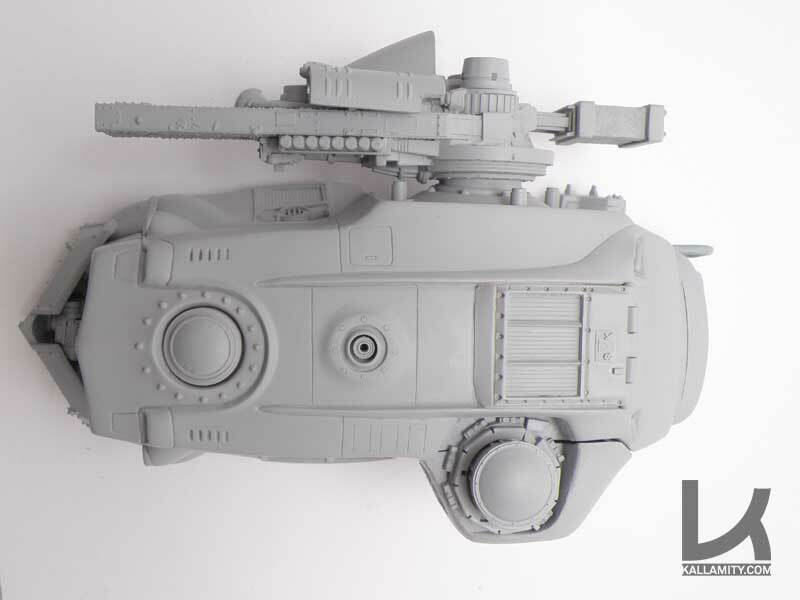 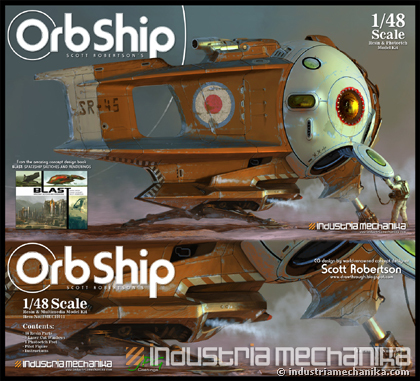 Scott Robertson’s Orb Ship: Preorder Now! 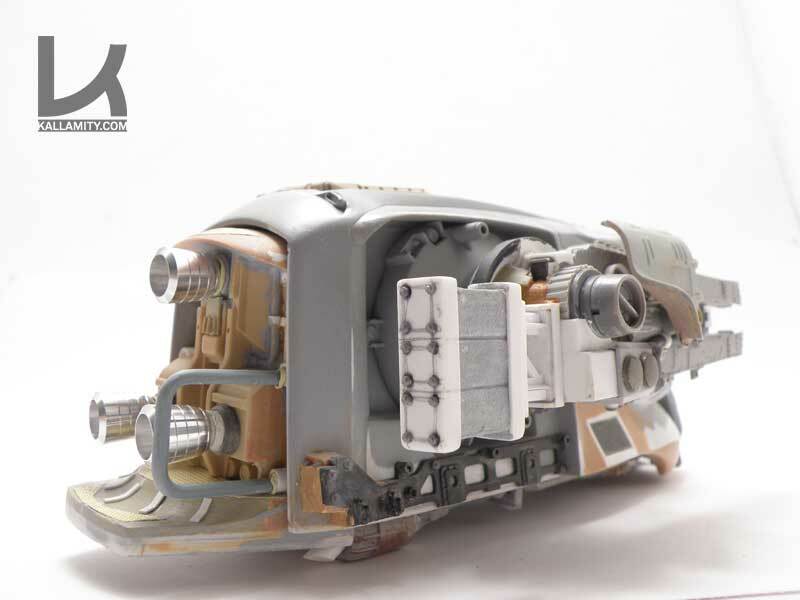 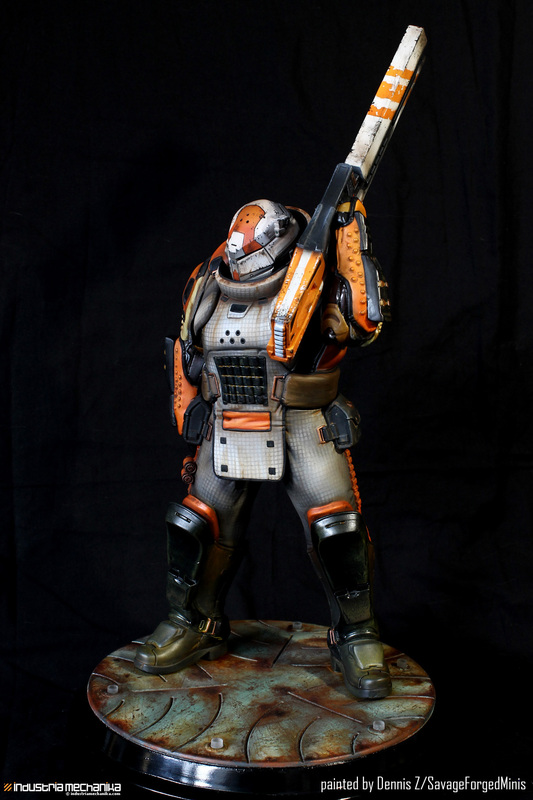 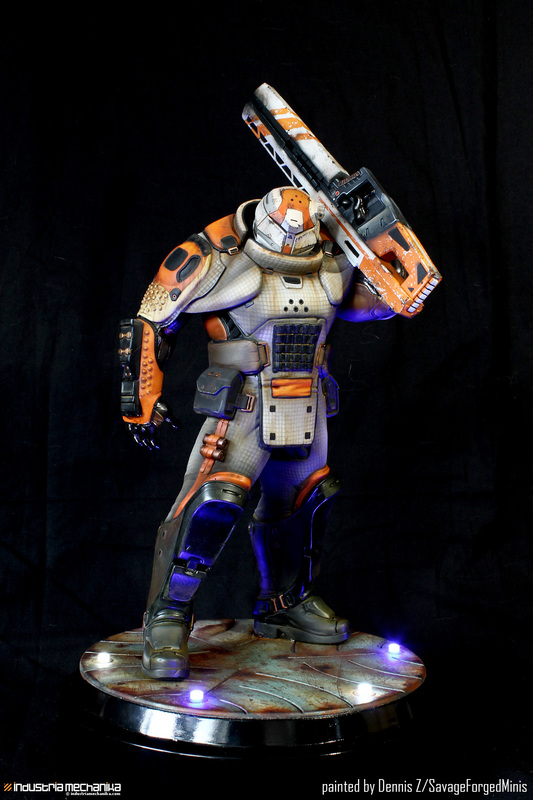 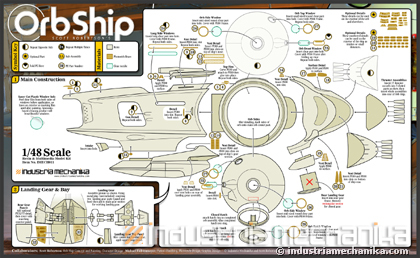 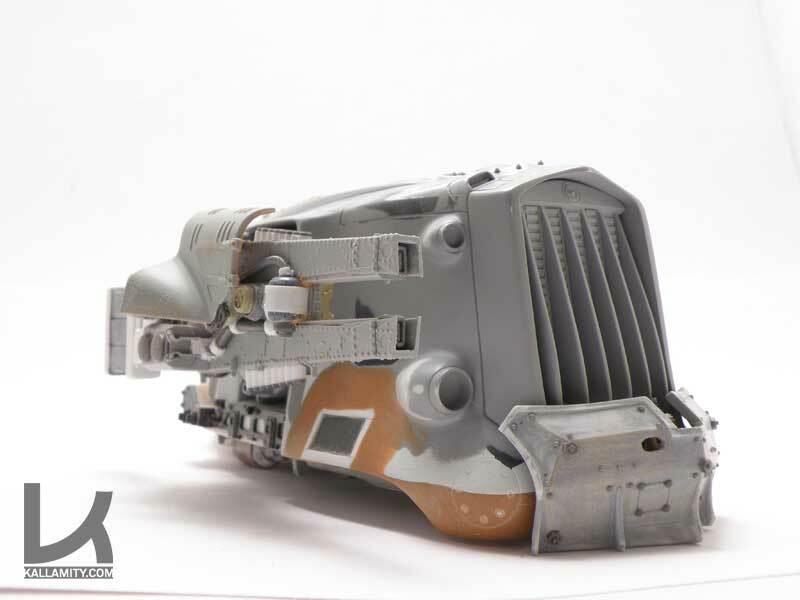 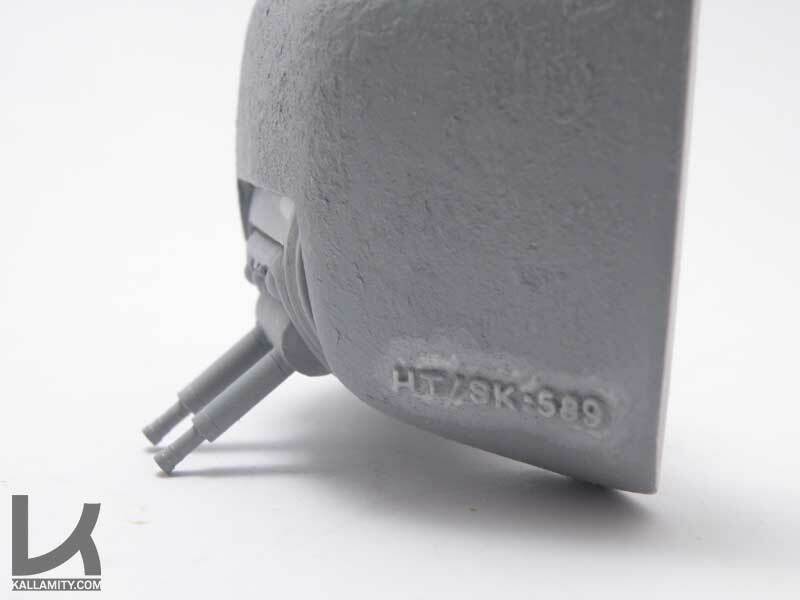 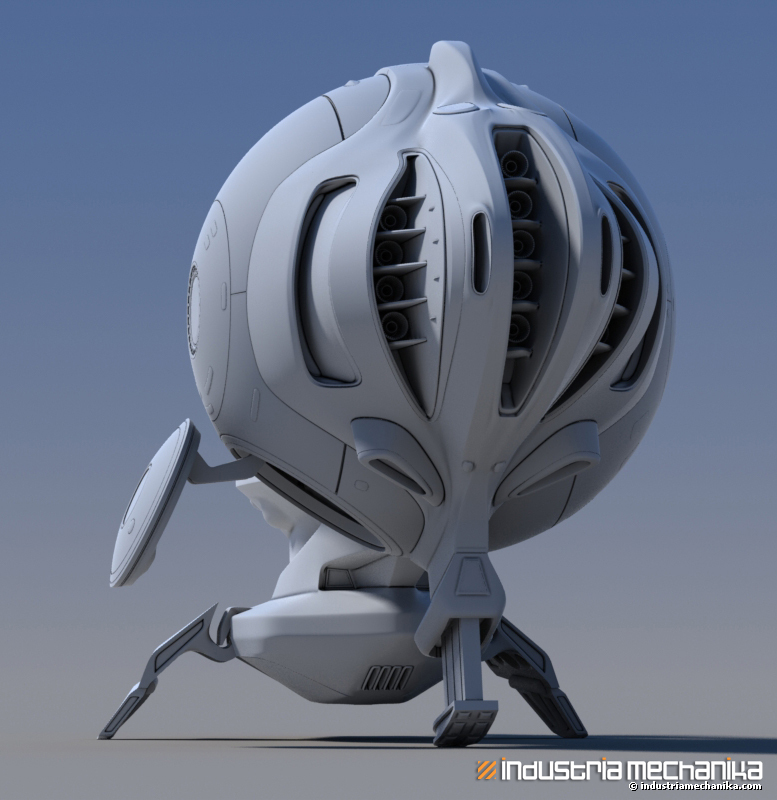 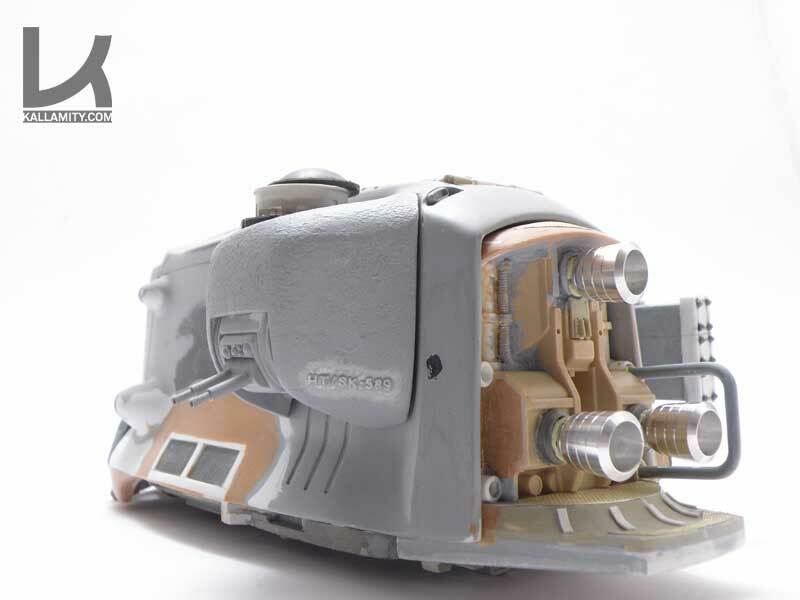 The Orb Ship is approximately 12.5″ long and about 5-6″ tall depending on gear deployment. 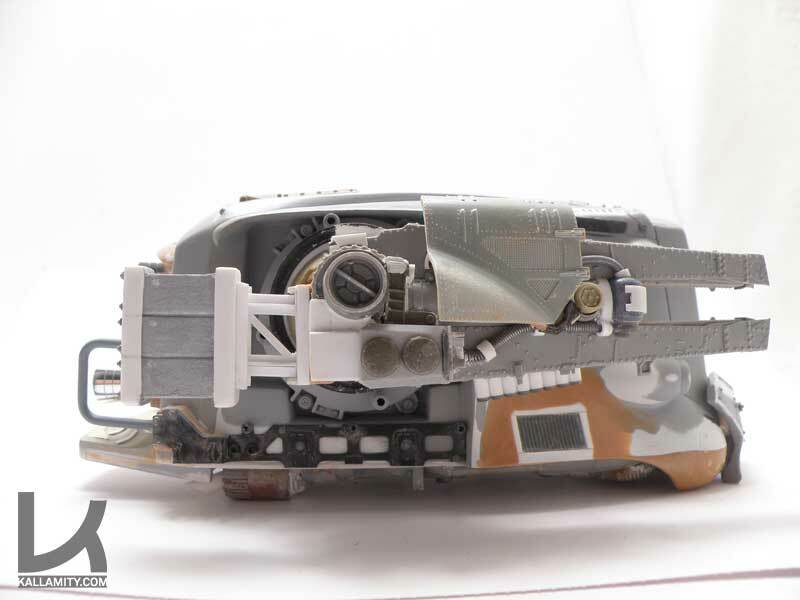 The orb is about 4.25″ wide. 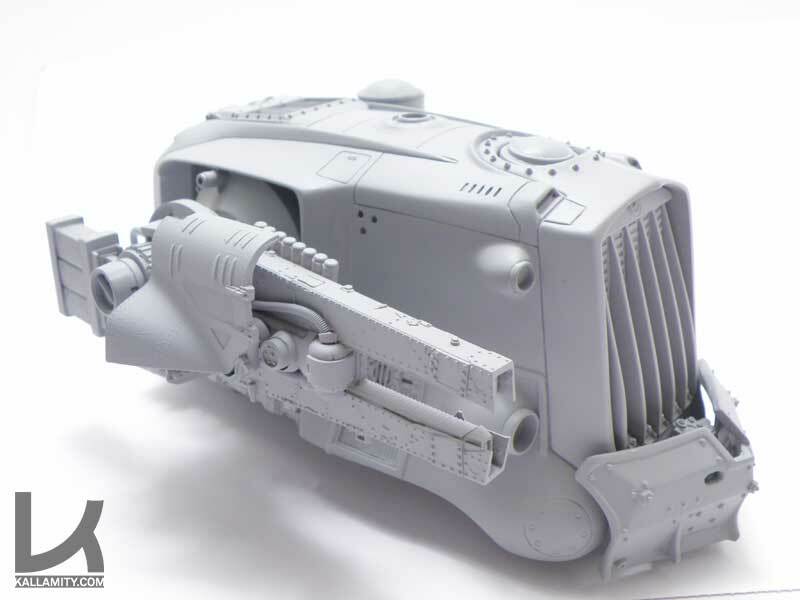 It’s impressively big when done! 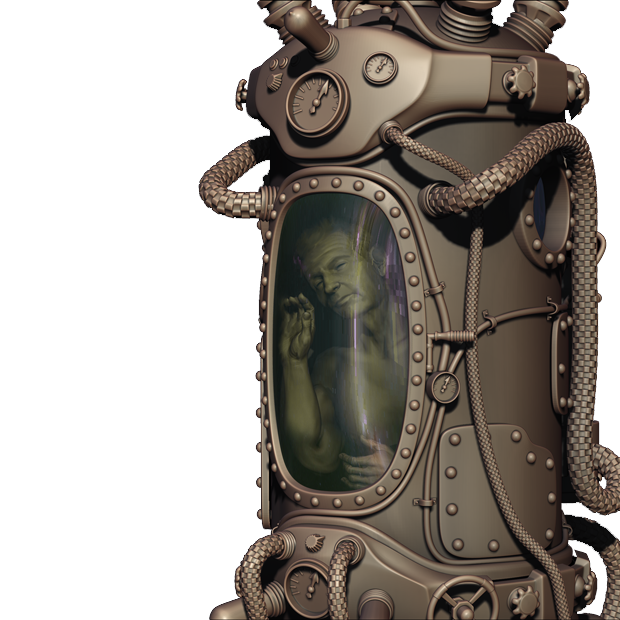 It has a unique steampunk vibe to the setting with cool characters inspired and licensed by gothic fantasy artist BROM. 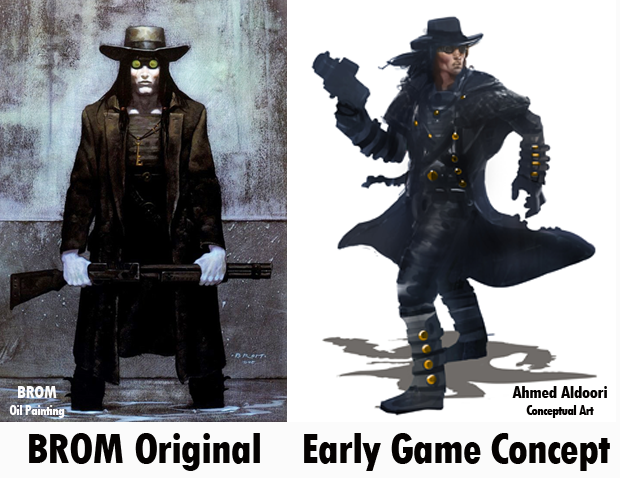 As a fan of both Steampunk and BROM, as well as an avid gamer, I’m pretty excited about this title. 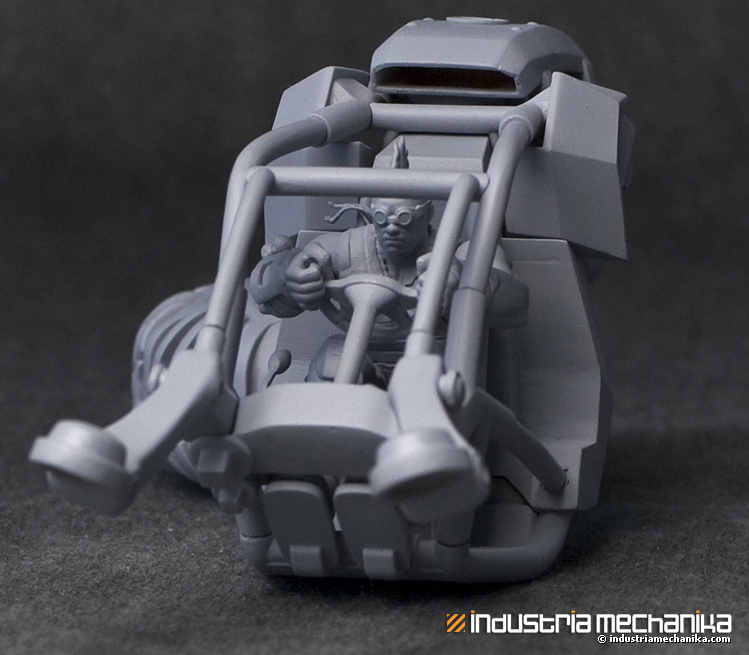 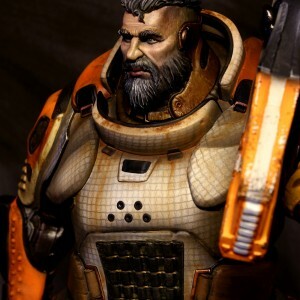 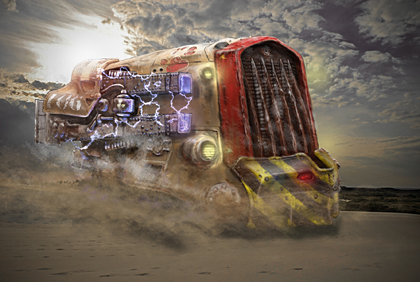 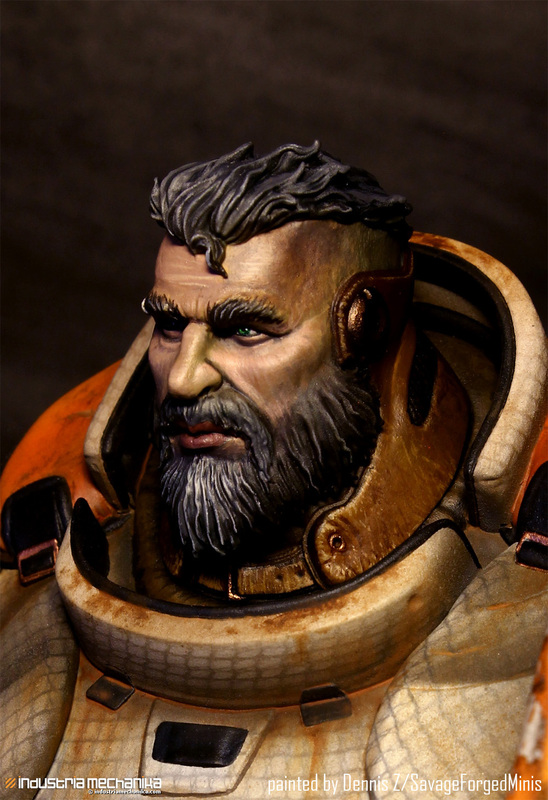 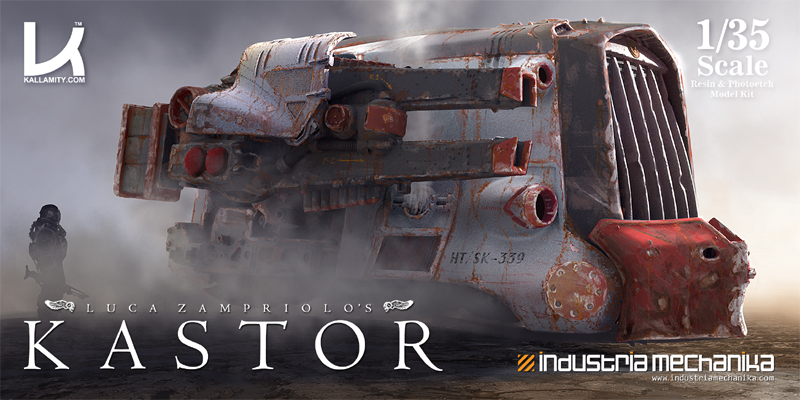 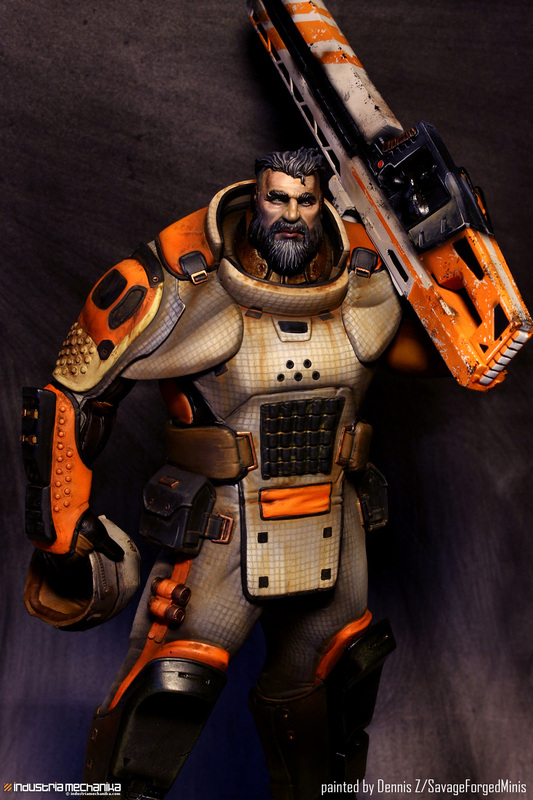 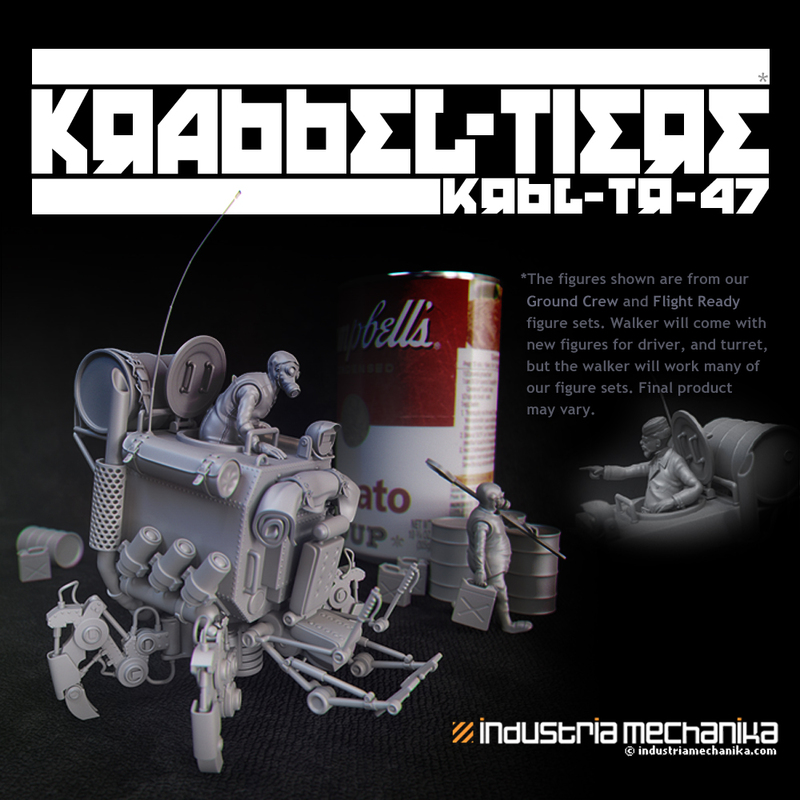 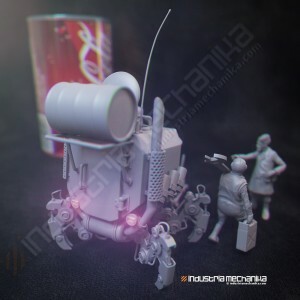 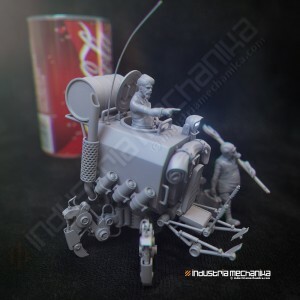 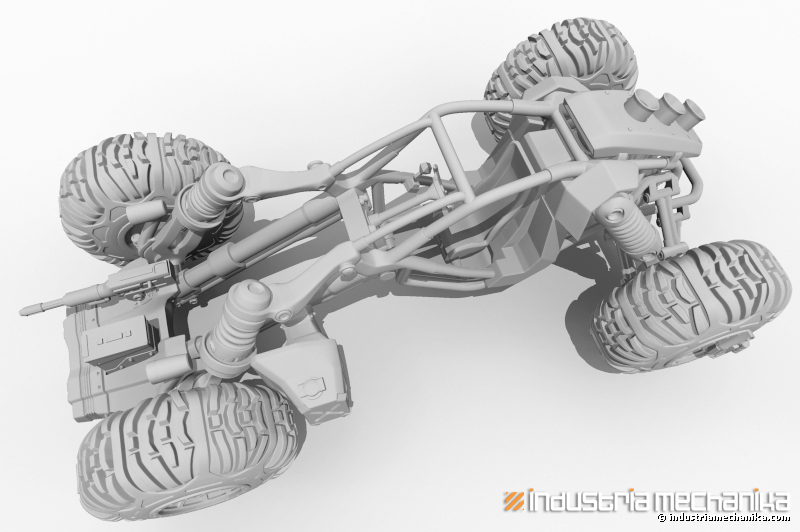 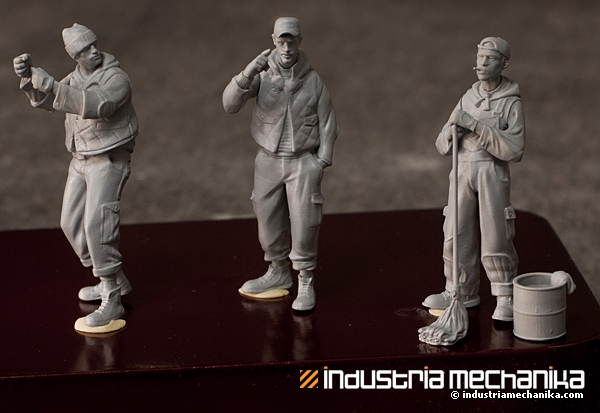 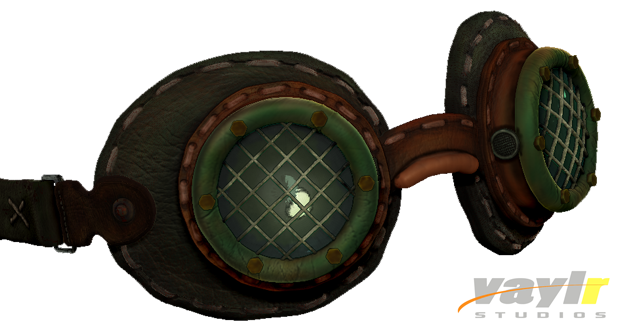 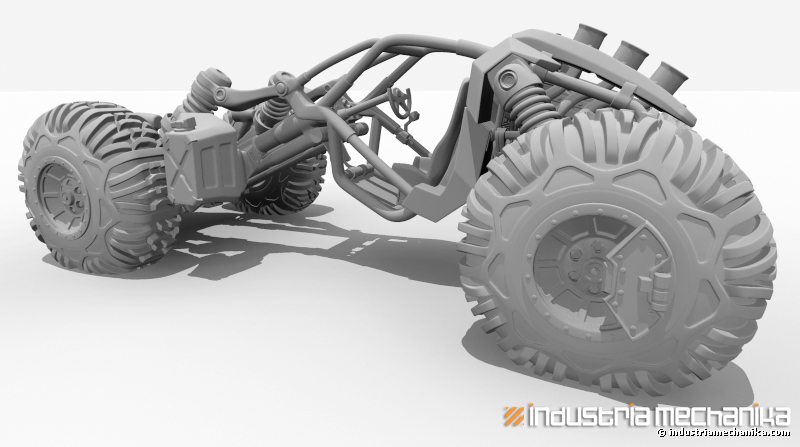 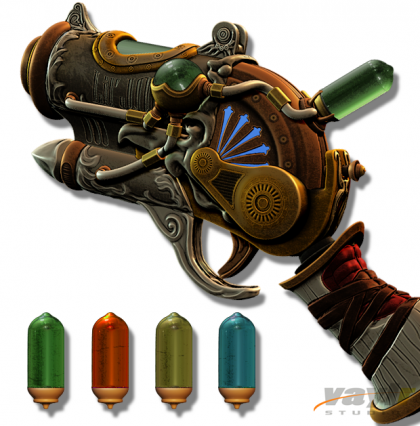 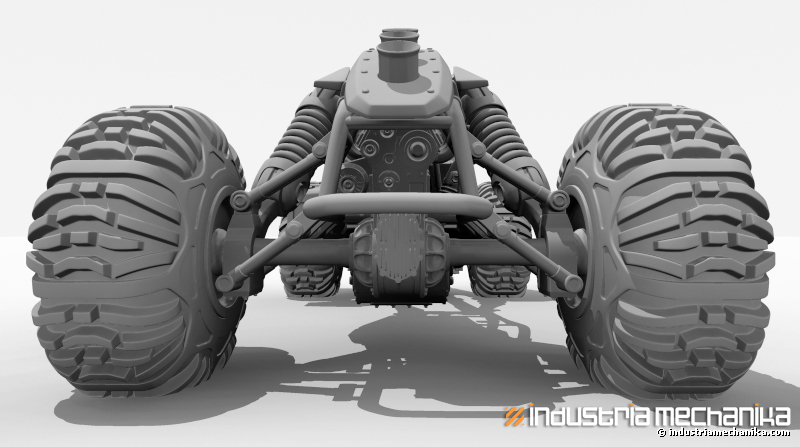 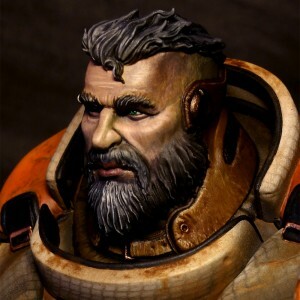 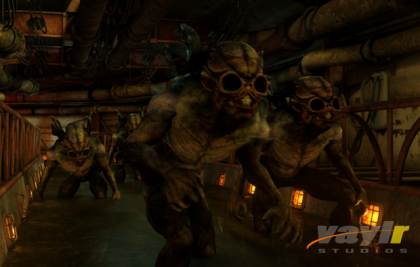 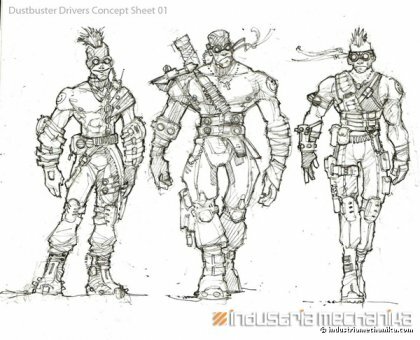 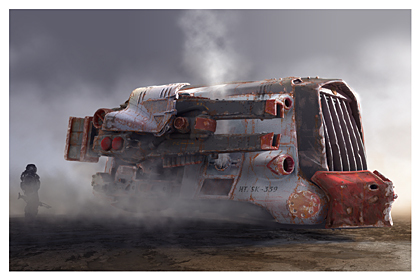 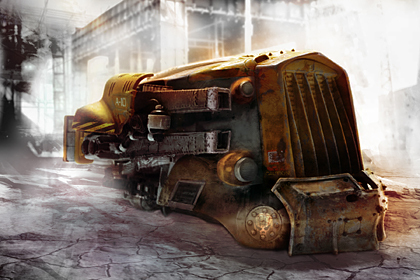 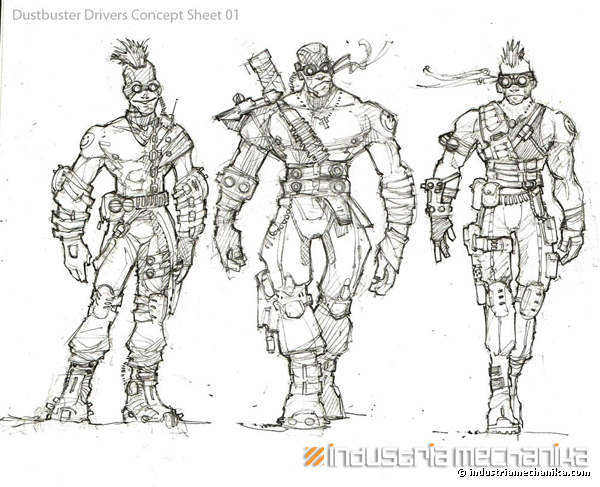 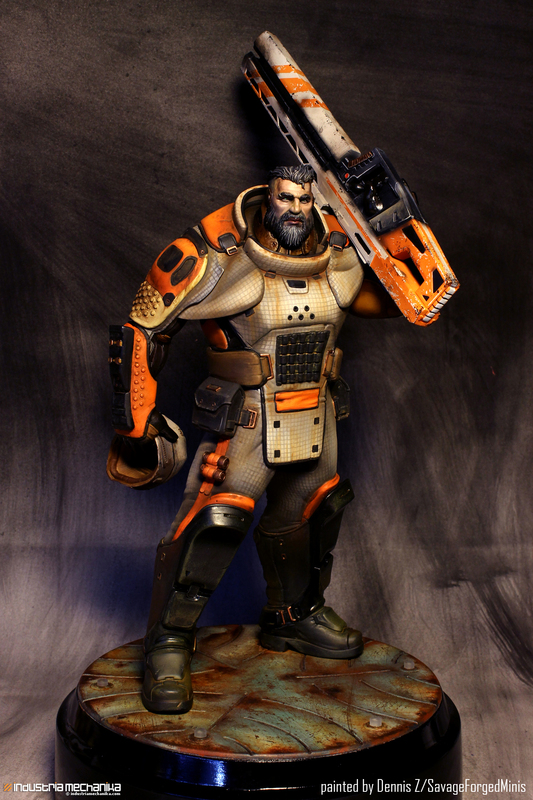 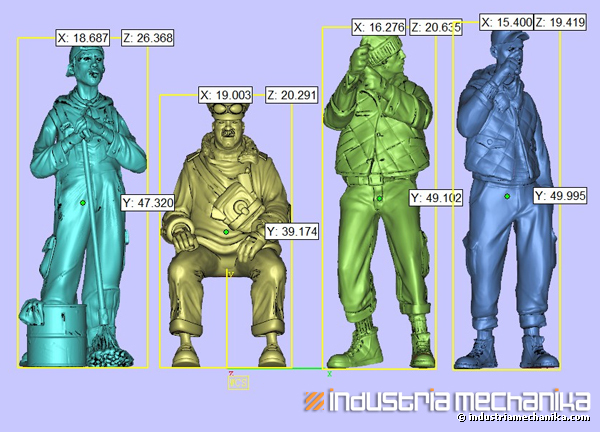 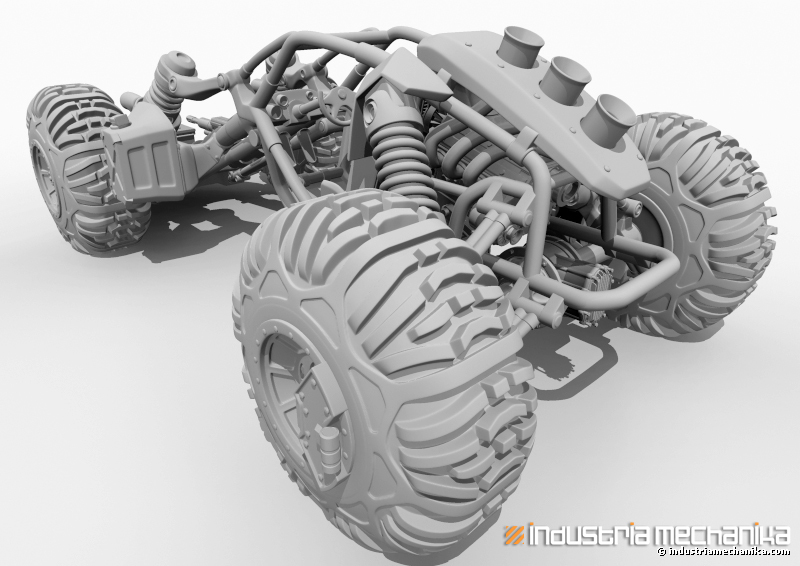 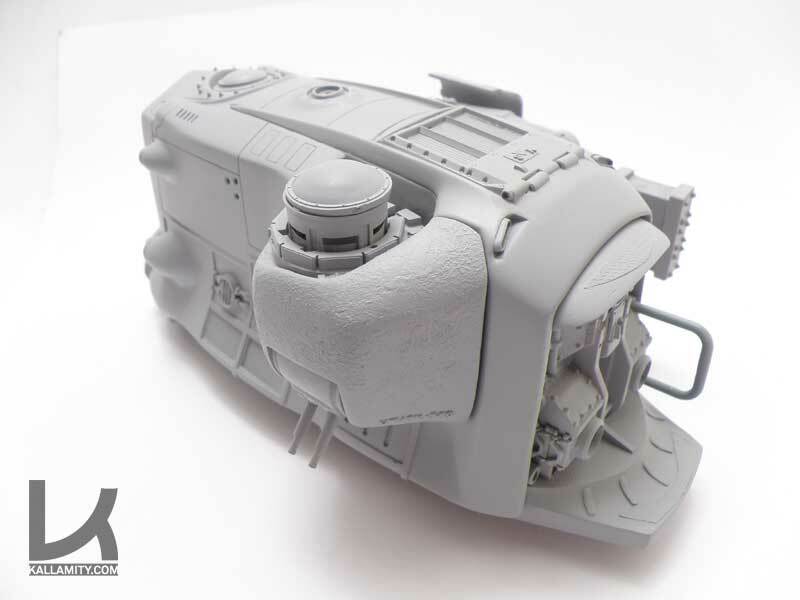 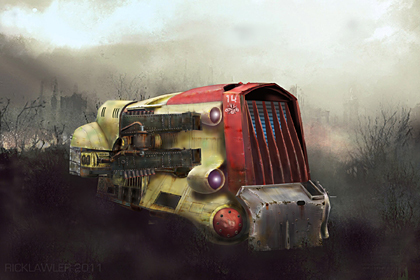 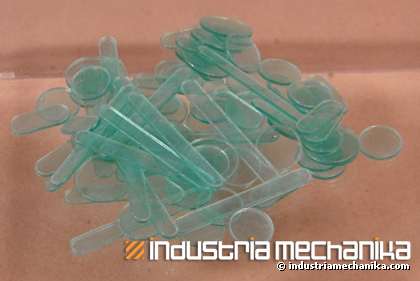 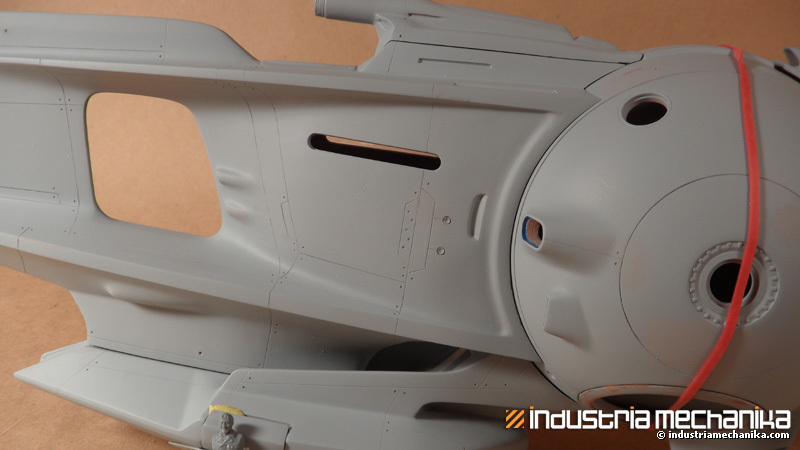 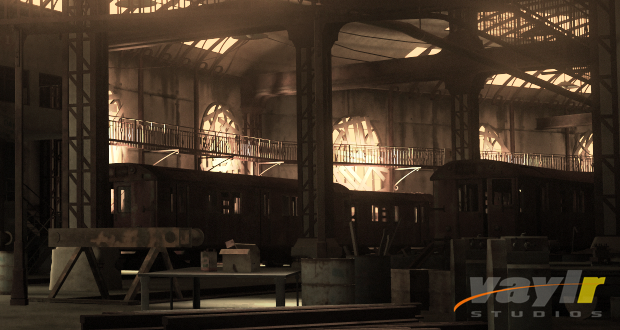 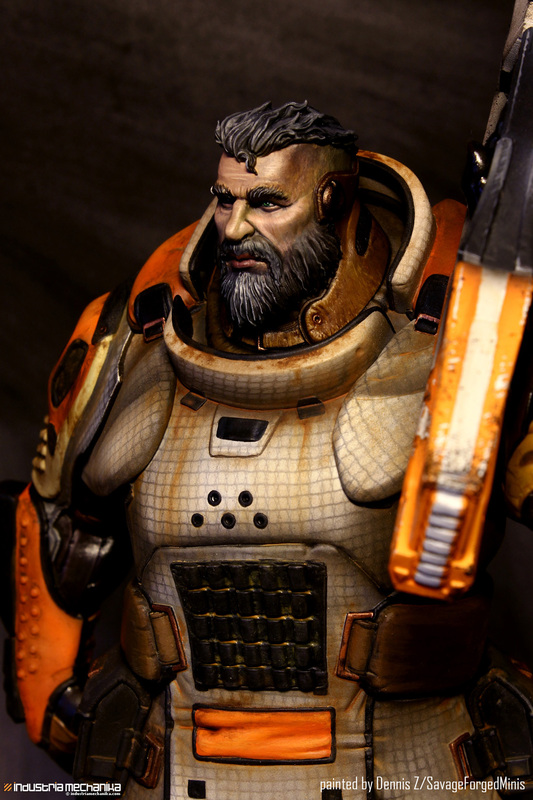 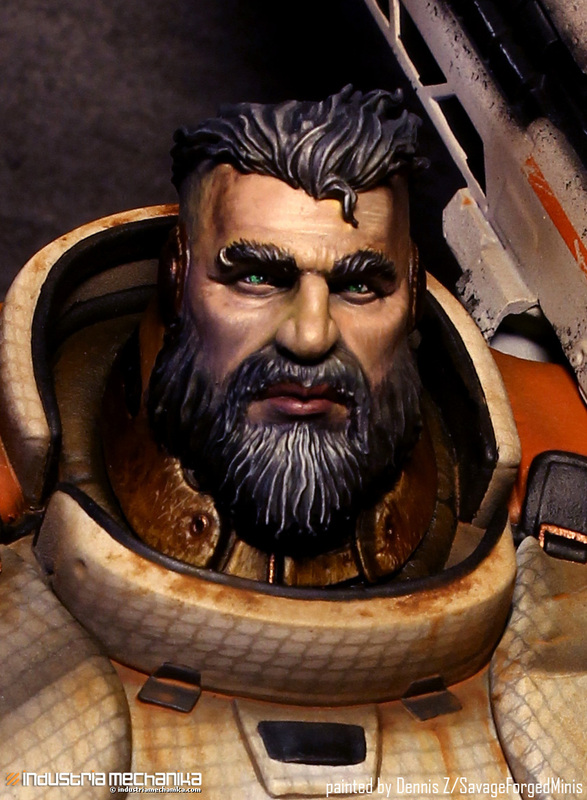 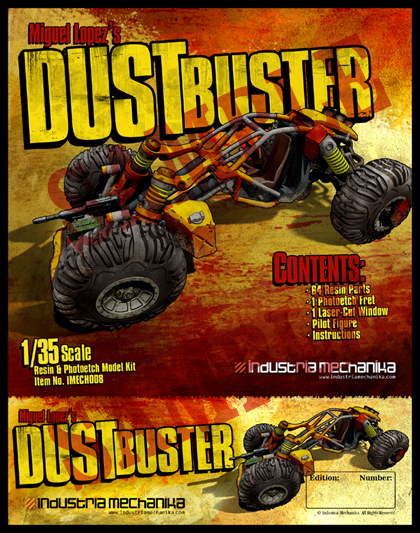 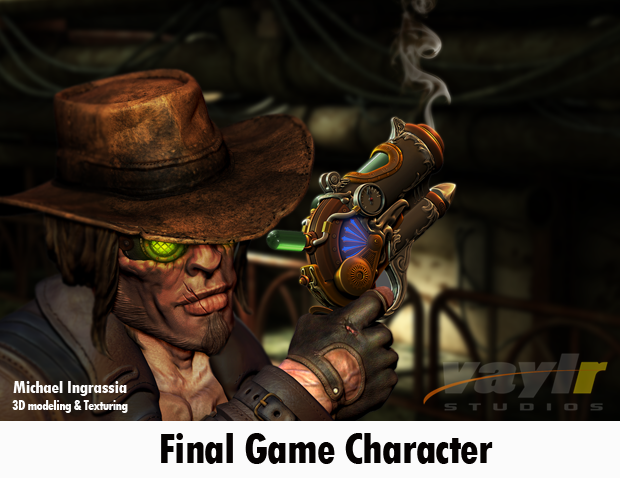 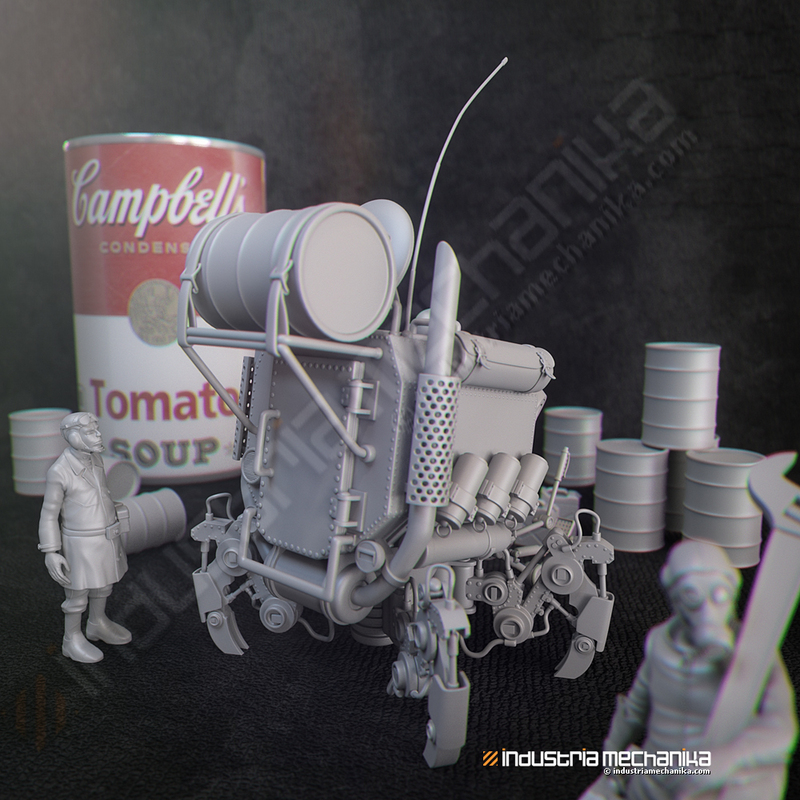 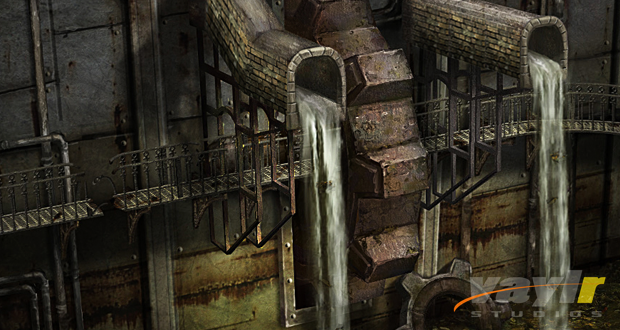 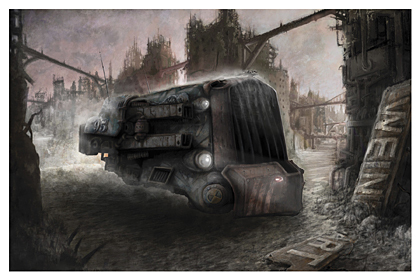 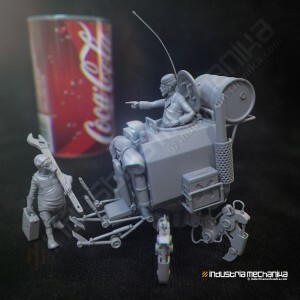 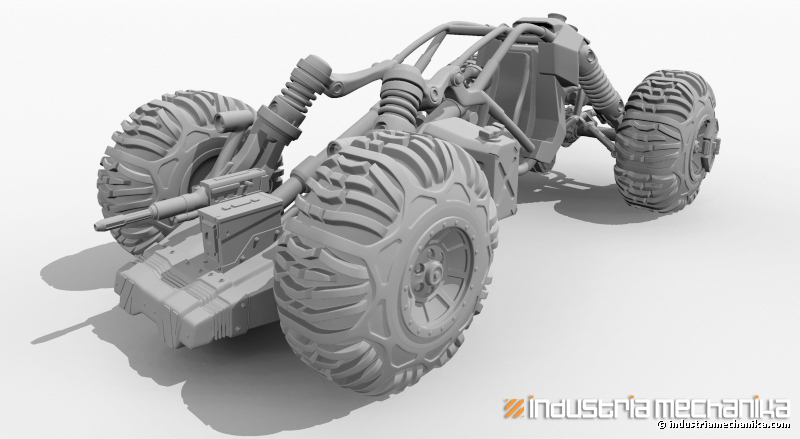 Industria Mechanika’s role is to produce one of the backer rewards in their Kickstarter fundraising campaign. 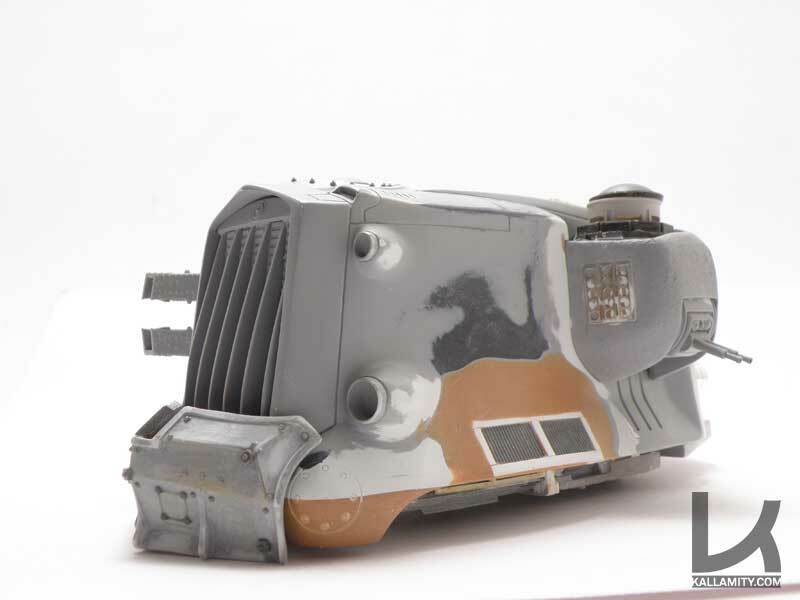 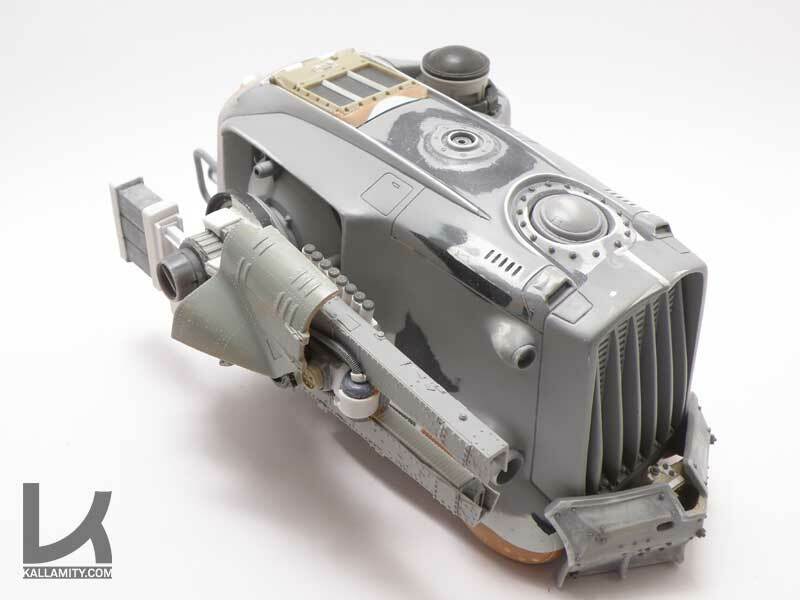 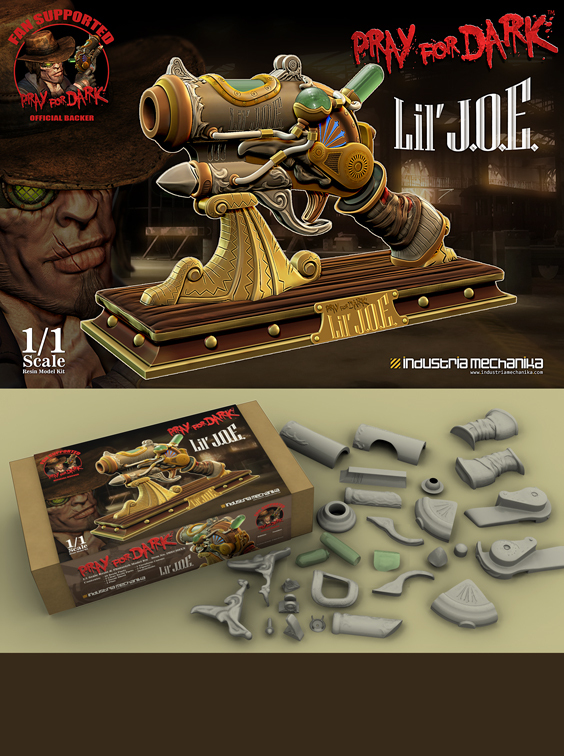 Angel has a cool sidearm named Lil’ J.O.E.. We’re producing a strict limited edition 1:1 scale garage kit of Lil’ J.O.E. 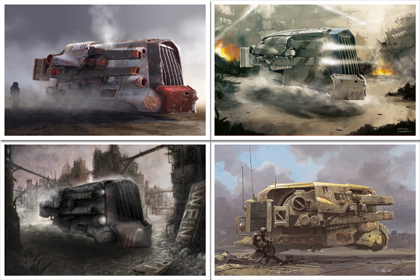 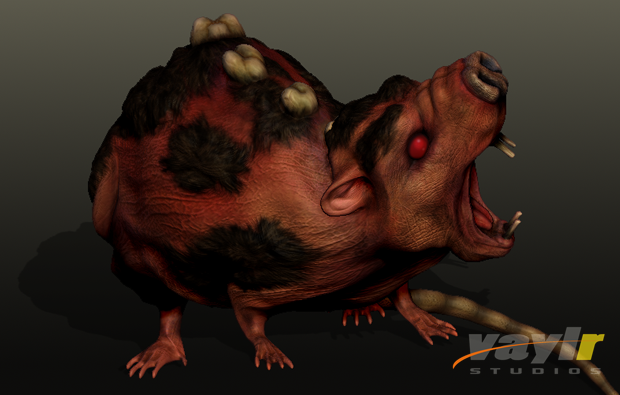 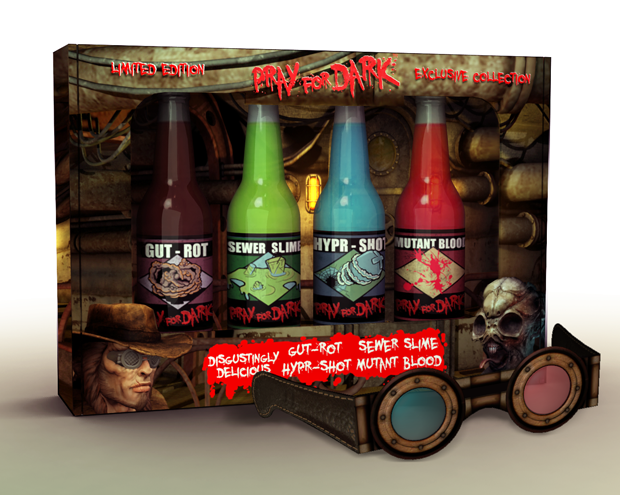 which will be available to those who pledge the minimally required amount to get that reward. The Lil’ J.O.E. 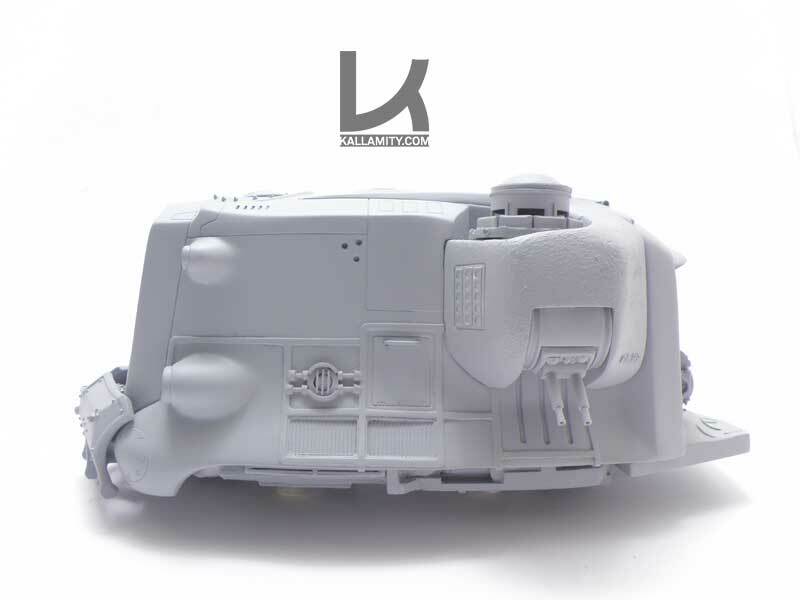 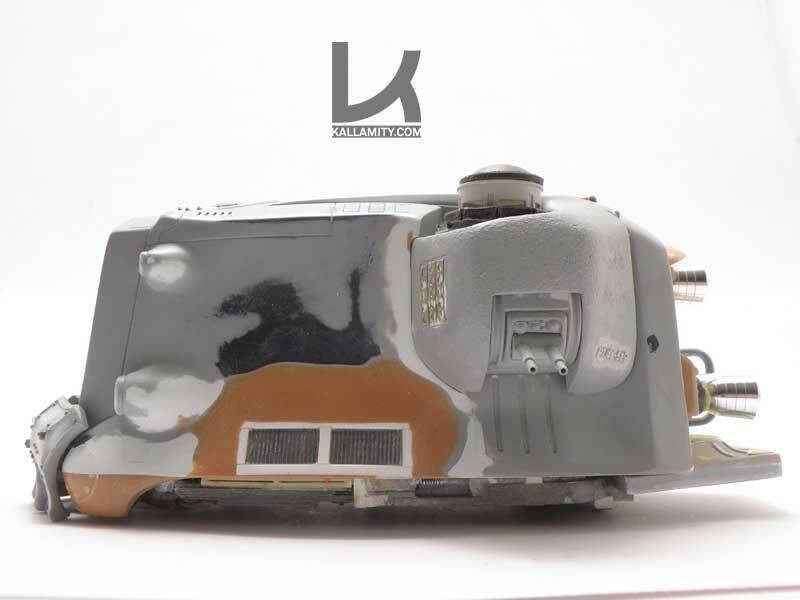 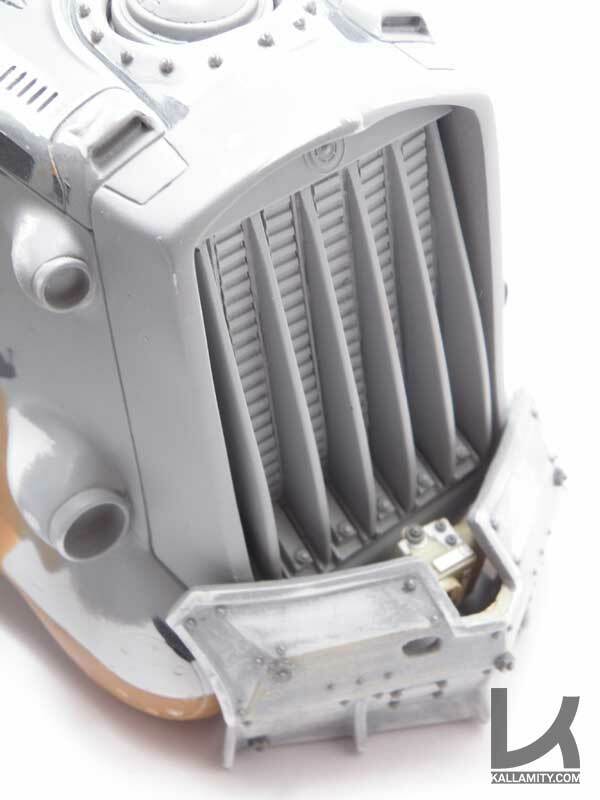 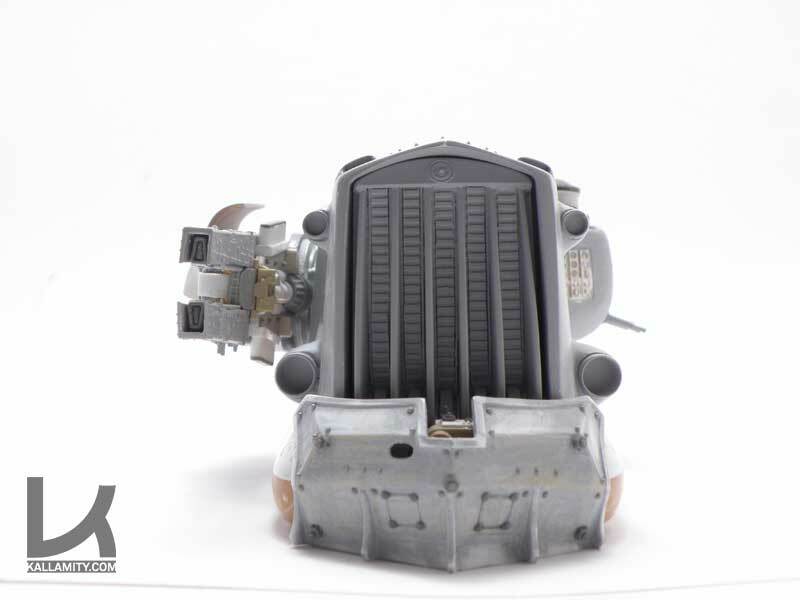 kit will contain resin kit parts, both clear and opaque, leather strapping, and photoetched brass. 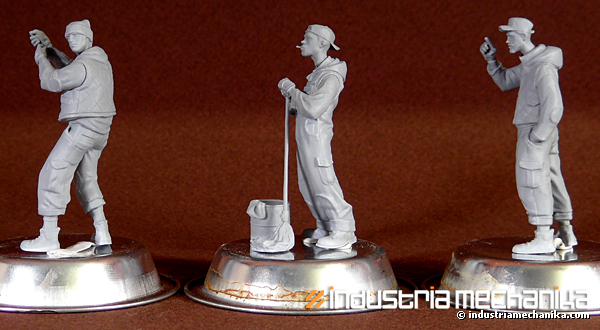 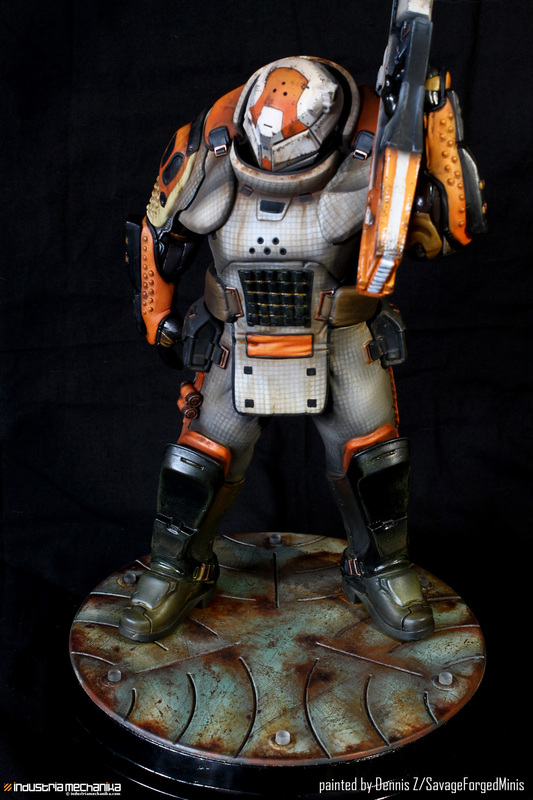 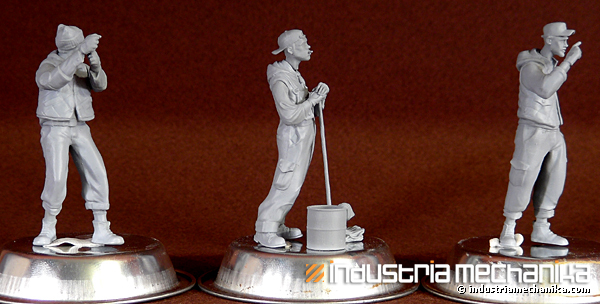 Each kit will also contain a multi-part resin stand in order to display your completed Lil’ J.O.E.! 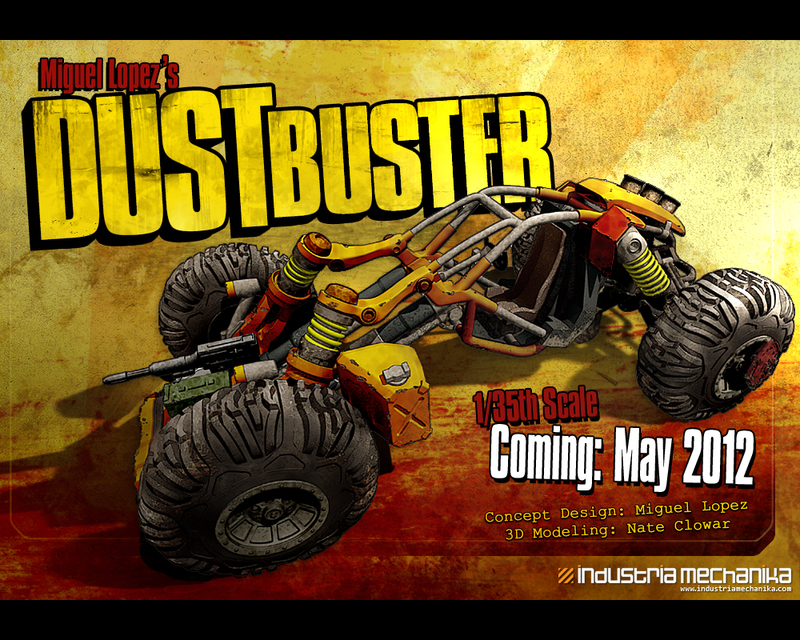 Check out the Kickstarter campaign (watch the video!) as well as the press release for more details, and if you can, please donate to make this game a reality. looks like a lot of fun! 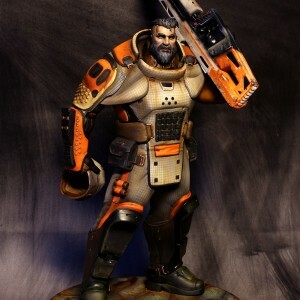 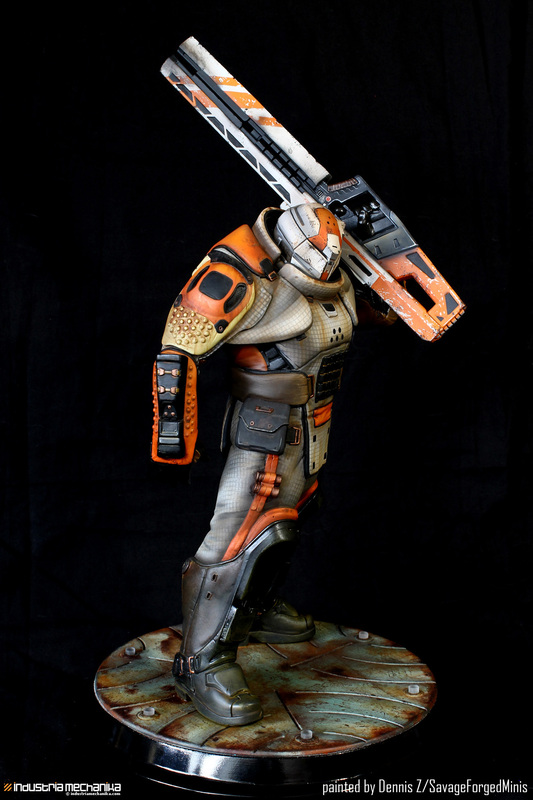 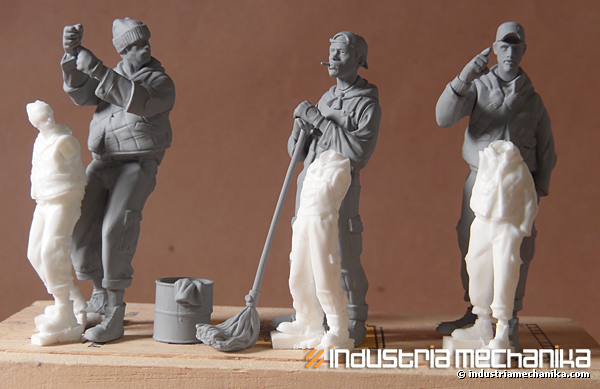 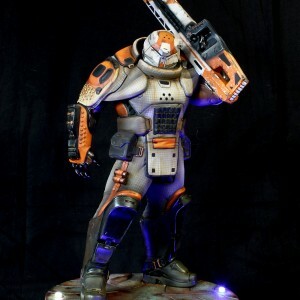 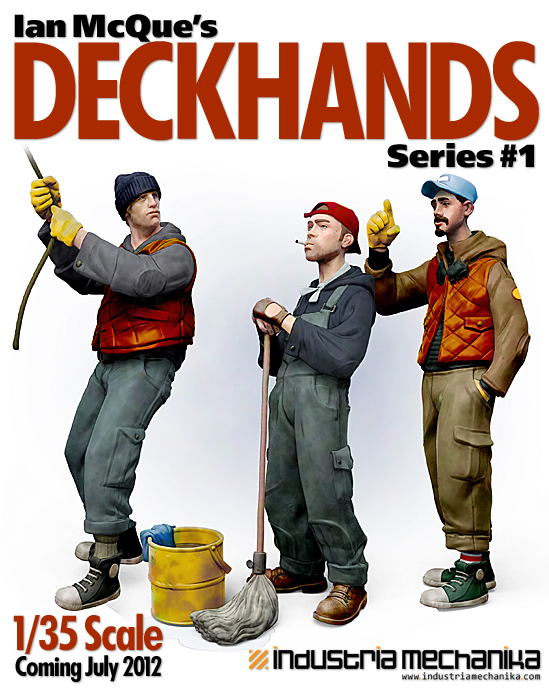 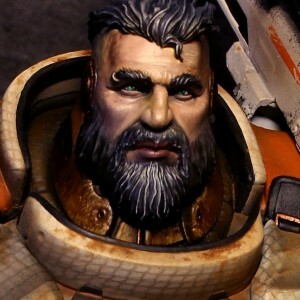 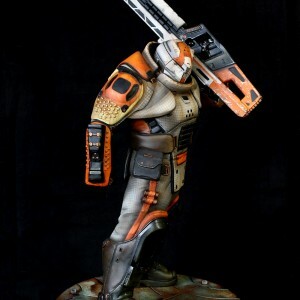 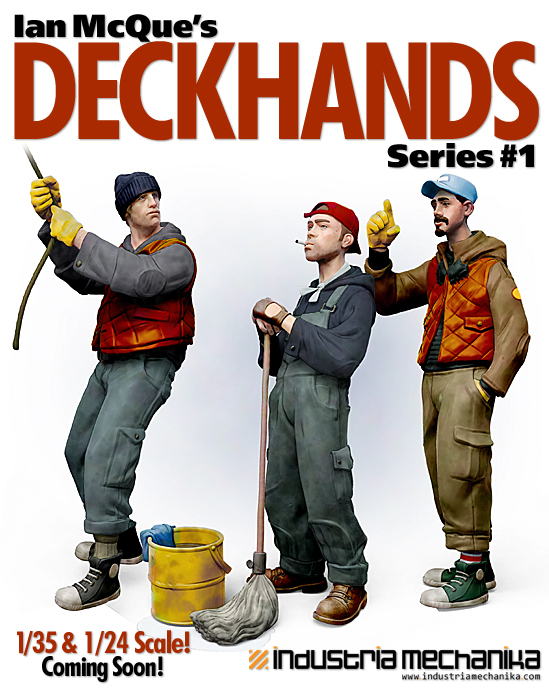 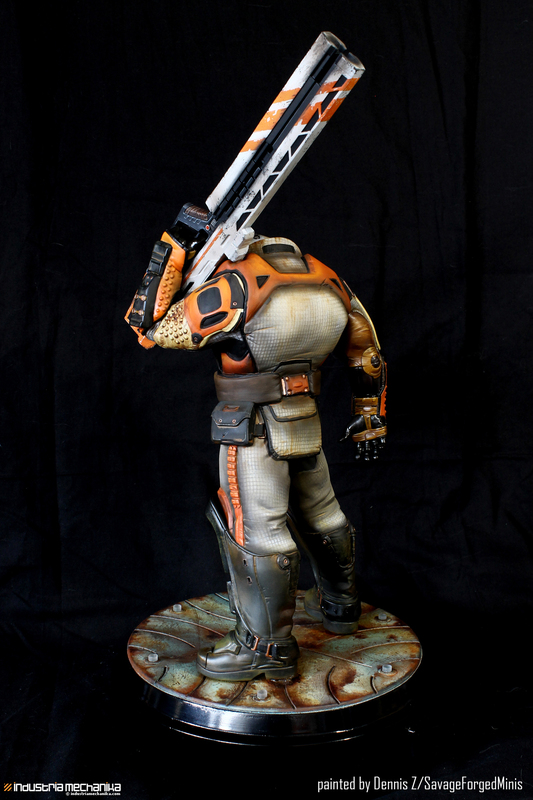 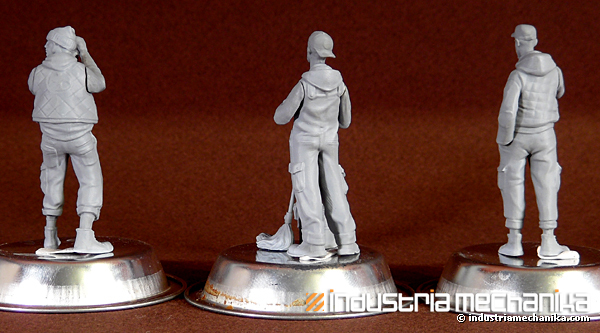 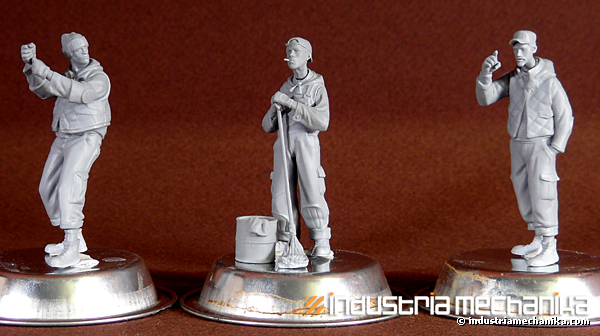 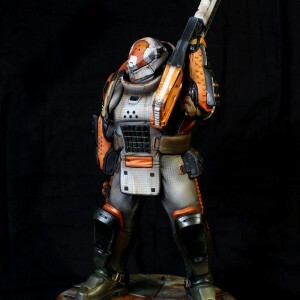 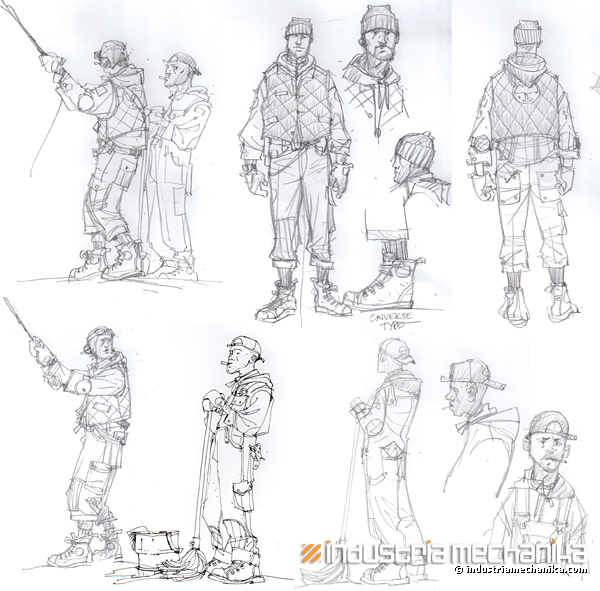 We will start taking preorders for Ian McQue’s Deckhands Series #1 figure set (1/35 only at this time) on April 4th, 2012. 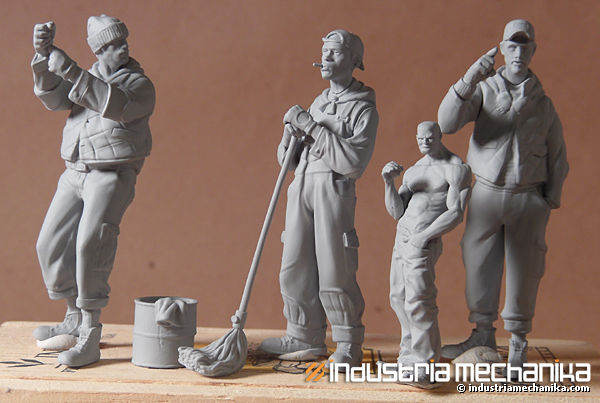 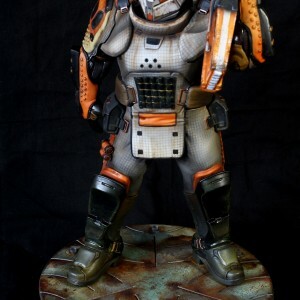 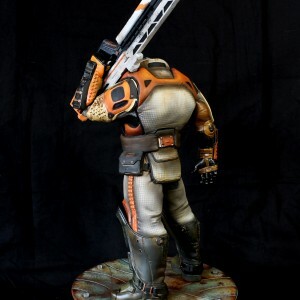 The set will cost $35.00 USD + Shipping and consists of 12 resin parts and detailed instructions. 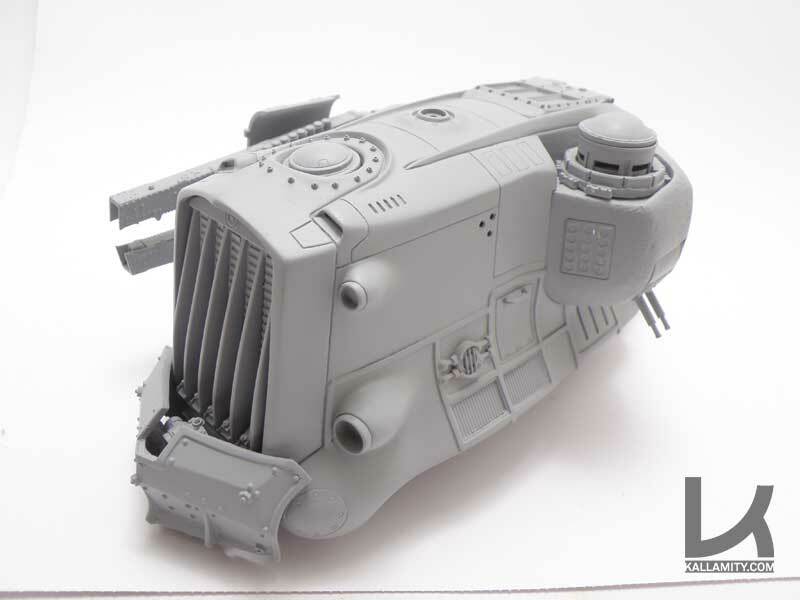 We expect to start shipping them in May. 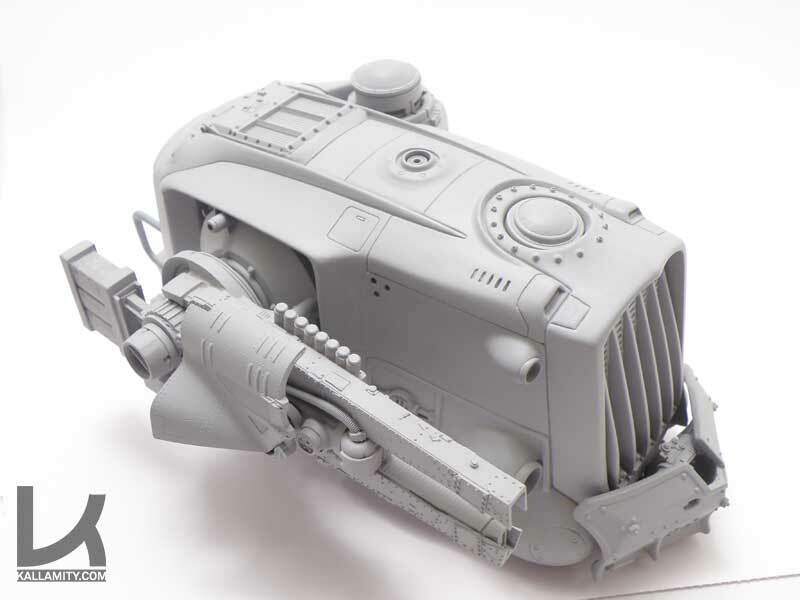 As soon as we have more info on the 1/24 preorder start date, we will let you know. 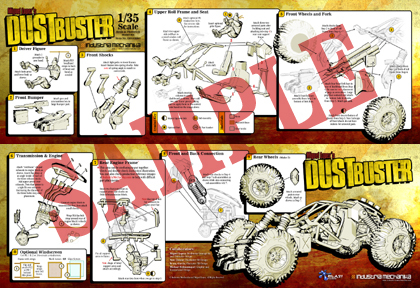 Click here to go to the order page, but remember: the preorder doesn’t start until 4.4.2012. 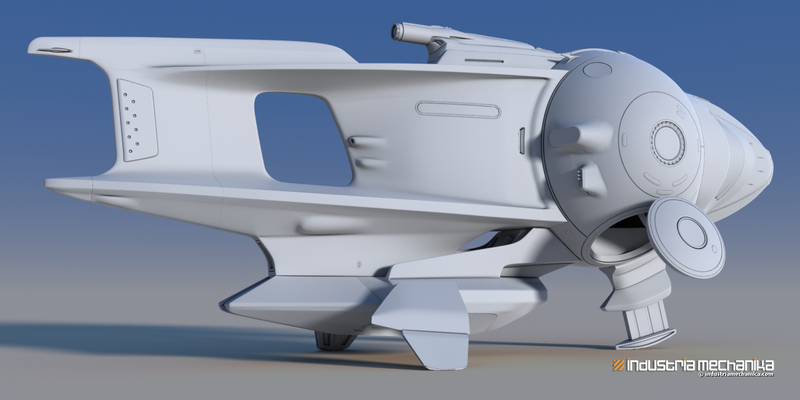 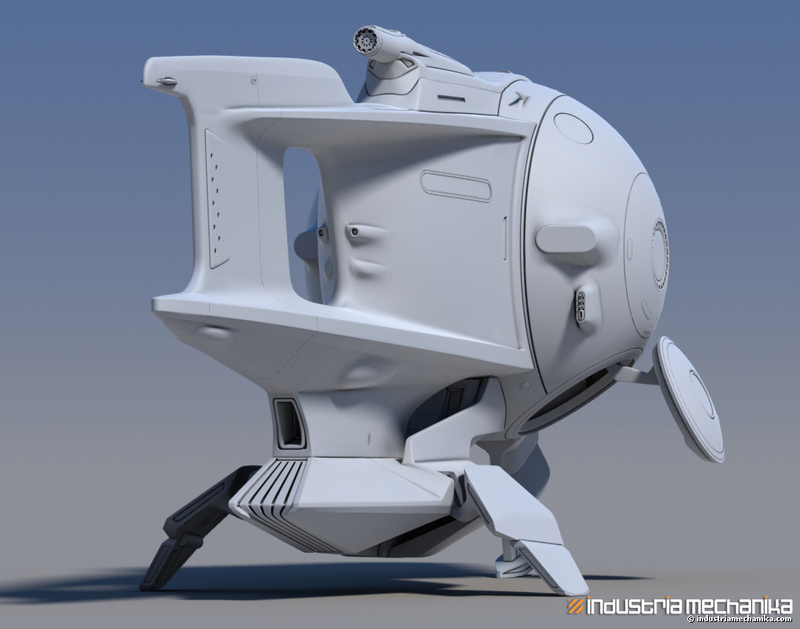 Scott Robertson sent me the latest, near complete renders of the 1/48 scale Orbship.He’ll be adding some color to these and I’ll be doing some hand-tweaks as prescribed by Scott to the master print, but it’s just about ready to go. 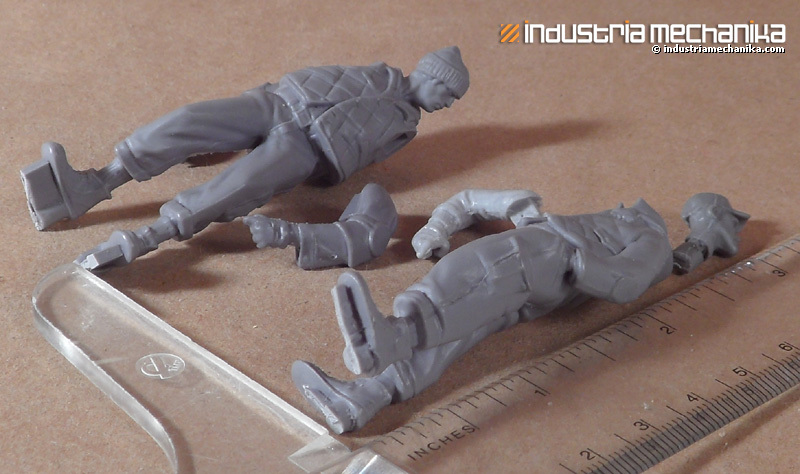 Oh, and need to finalize the photoetch portions as well. 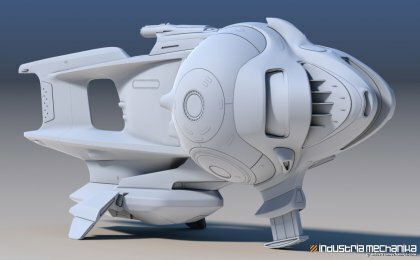 Look for the Orbship in July! 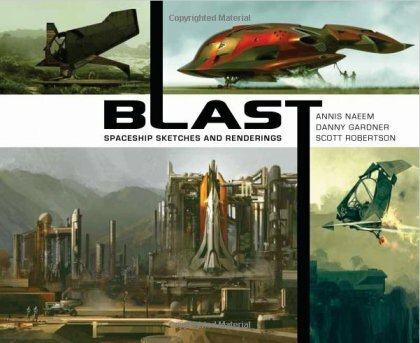 Also, if you haven’t already done so, get his latest book: Blast! 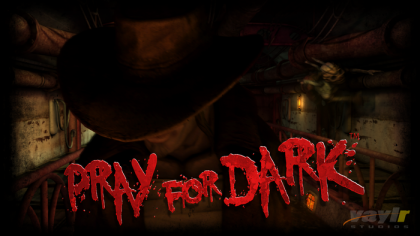 It’s a total bla… well, I need not resort to bad puns, but it’s great so check it out! 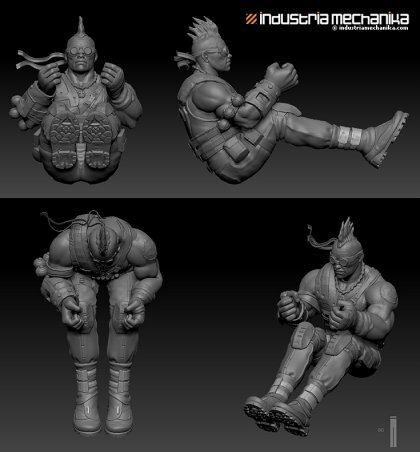 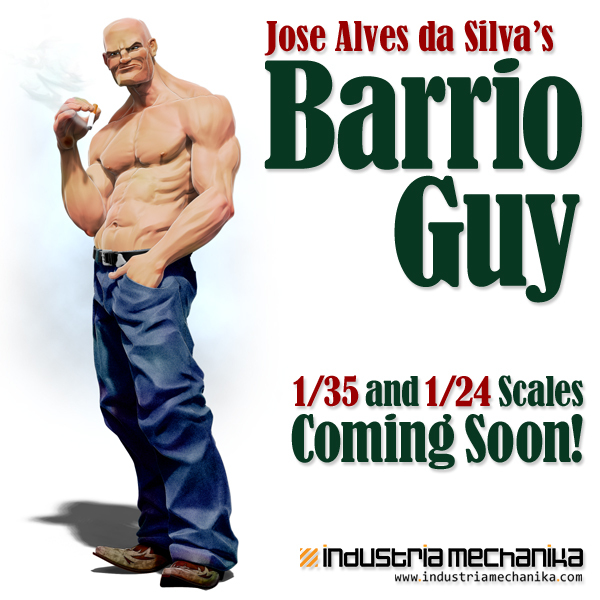 Coming soon from Industria Mechanika and Jose Alves da Silva: The Barrio Guy. 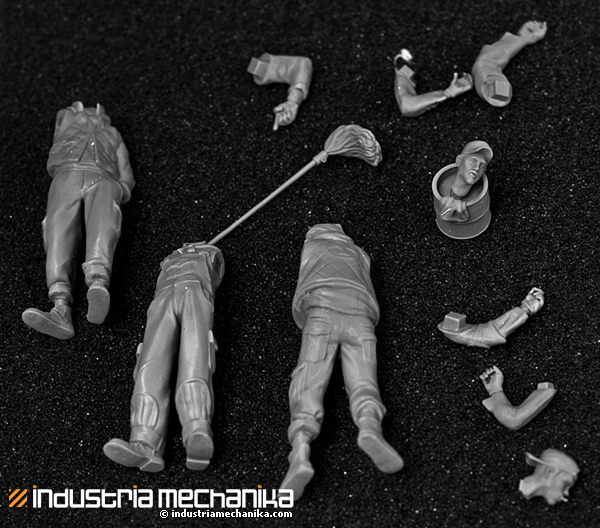 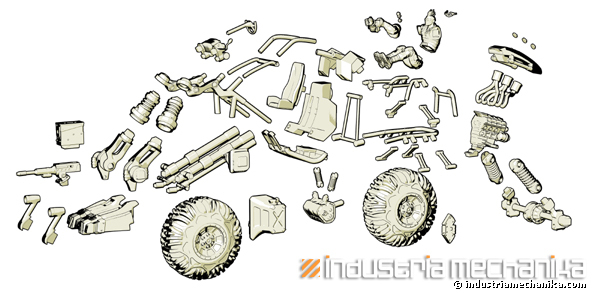 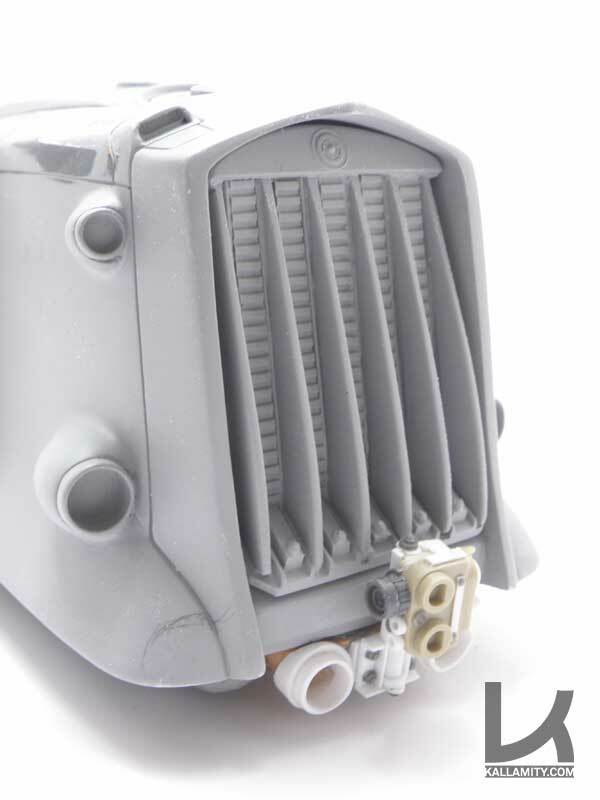 This tough-looking figure will be produced in 1/35 AND 1/24 scale. 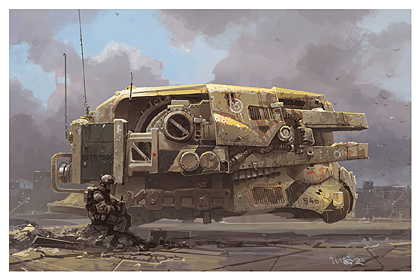 Price on each is TBD. Look for the Barrio Guy to hit the streets by July 2012. 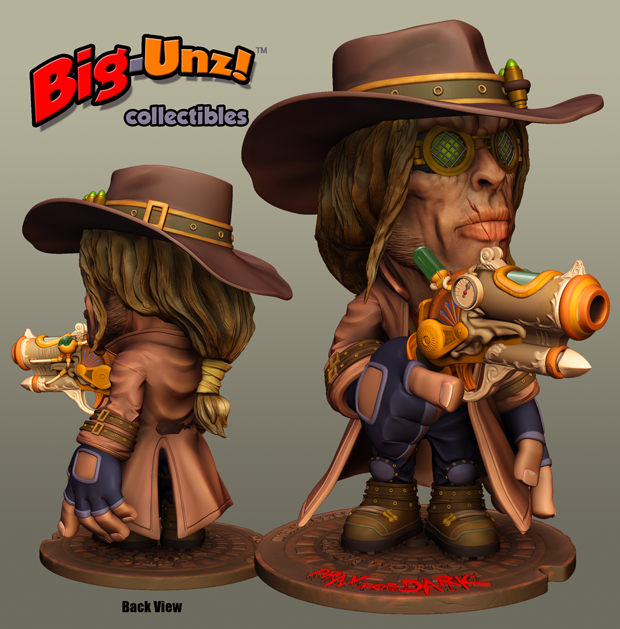 To get notified by email on the Barrio Guy (and other products) release date and price announcement, please click here.